But how do you milk an almond? It's actually not as fiddly a process as I anticipated and the results are worth the effort. We go through quite a lot of almonds and I always buy the large 500g bags as they are by far the best value. Trevor has a handful of almonds every day as part of his triathlon training, the magnesium from them helps to reduce lactic acid build up so hopefully he won't get "jelly legs" when he gets to that final running stage. Almonds boast a lot of other health benefits too, they are high in monounstaurated fats so great for lowering cholesterol and happy healthy hearts. Soak the almonds for at least 8 hours, the longer you leave them to soak the creamier your milk will be and the nuts will be easier to blend too. The almonds will swell up until they look like they might burst, taking on all this water makes for a lovely creamy milk. Drain the almonds and add two cups of fresh water. 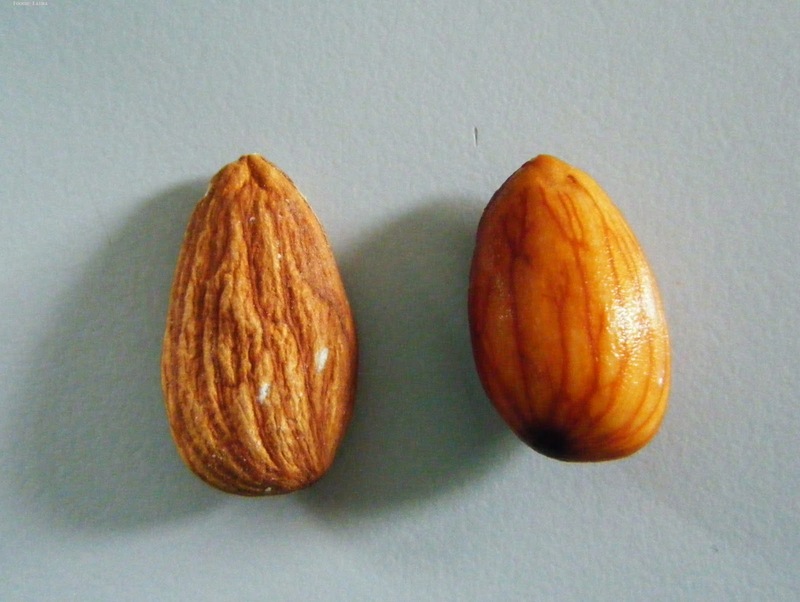 Blitz the almonds and liquid with a hand blender until they break down into fine pieces. This took about two minutes using quick bursts of turbo function on my blender. 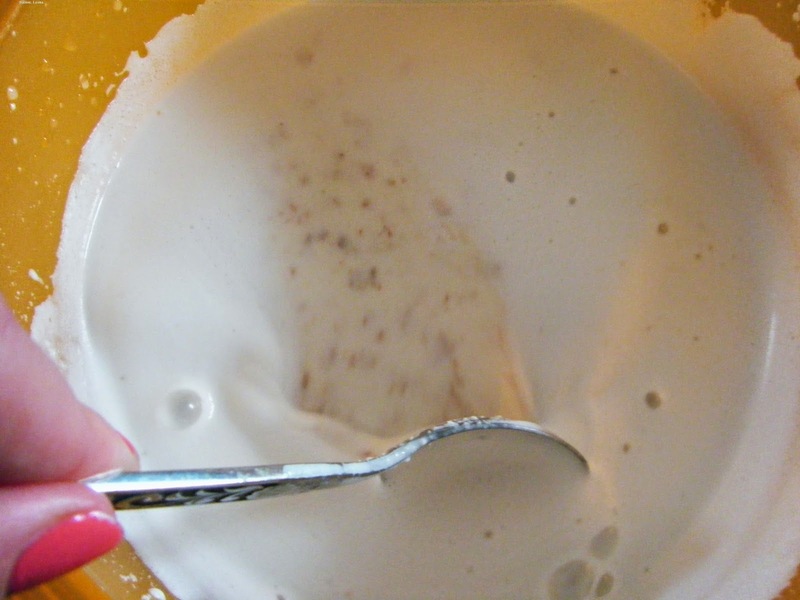 The mixture will become thick and creamy with a foamy froth. At this point I was wondering if I could do almond milk with bits. I tried it but the silky strained version is far more pleasing. Line a sieve with a muslin cloth and rest it over a measuring jug. Pour the pulpy almond mixture through onto the muslin. 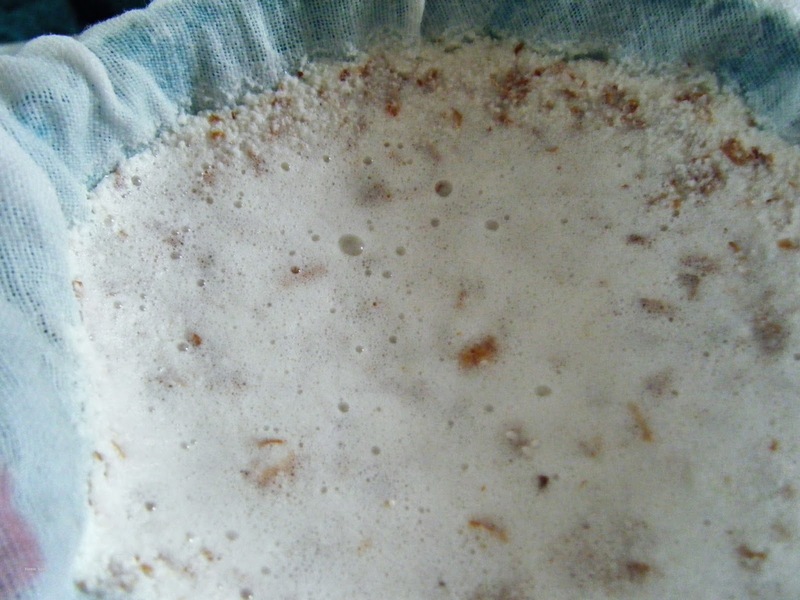 You are left with a wet almond pulp in the sieve. Use the back of a spoon to press this down and squeeze as much liquid from the pulp as you can. You may also find that if you remove the cloth, by gathering the edges together and then squeezing it that you can get a little more milk. Another bonus to this recipe is the by product of almond pulp which you can use in place of ground almonds in any recipe. You can spread the pulp on a baking tray and dry it out in the oven or freeze it until you're ready to use it. 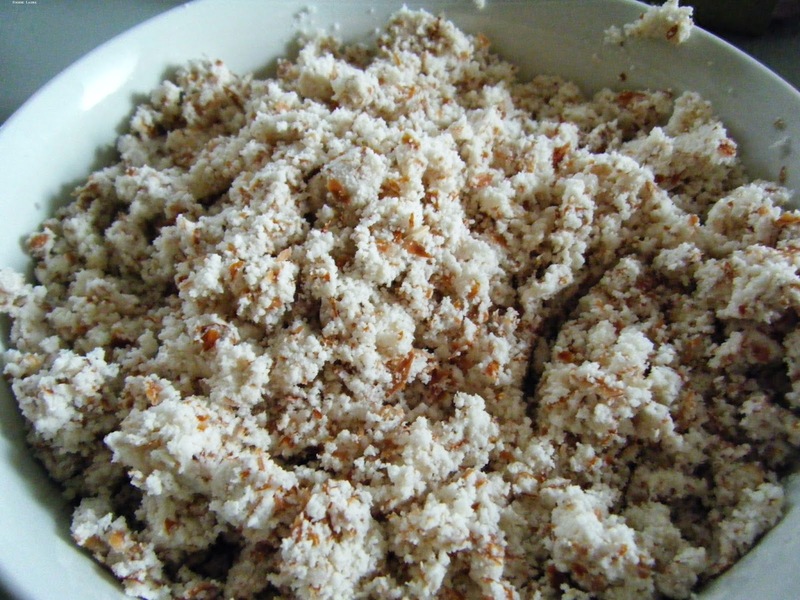 Left over almond pulp can be used in baking. I like my almond milk unsweetened and poured my self a creamy glass right away. 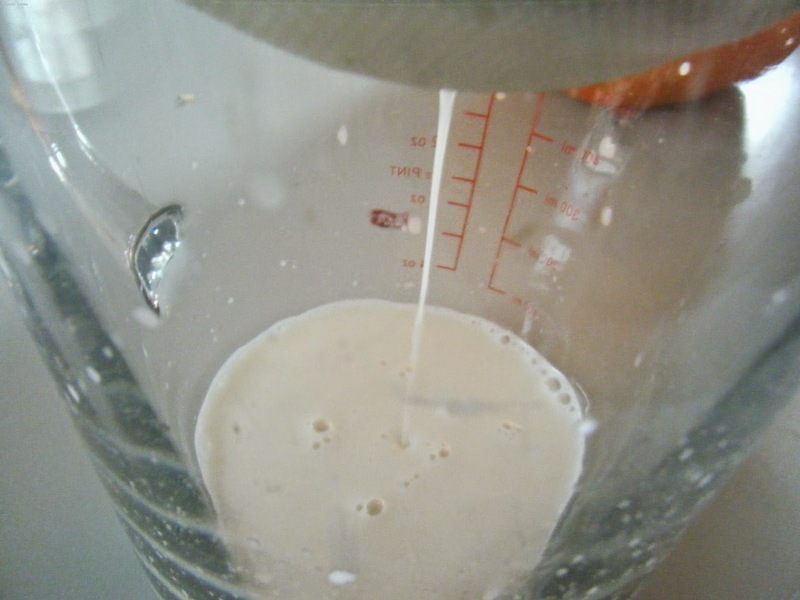 At this stage you could add a natural sweetener like honey or a coco powder for chocolate almond milk. 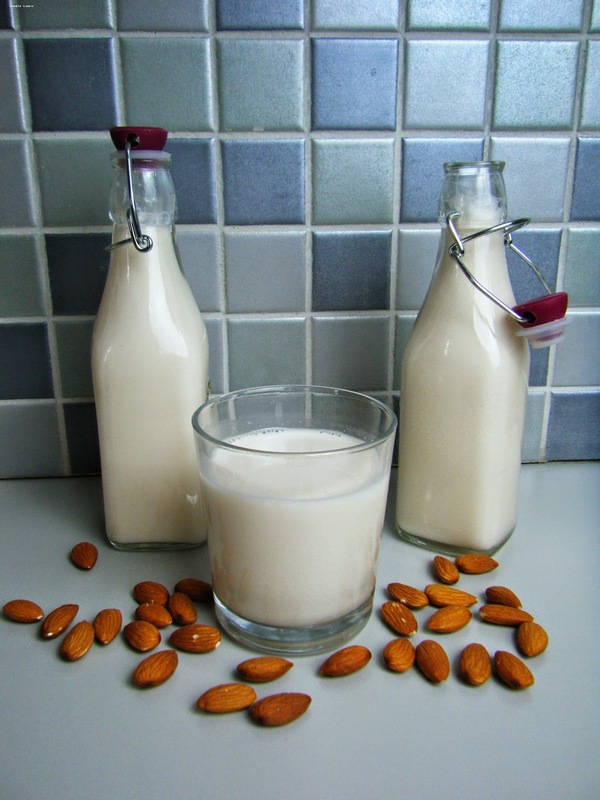 I was surprised at just how different the flavour of this home made almond milk is. There is a freshness about it that reminds be of runner beans picked straight from the plant, how can that be?